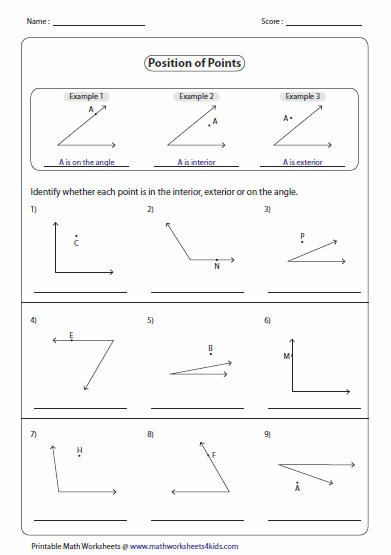 This page is broadly classified into two sections, 'parts of an angle' and 'representing angles'. 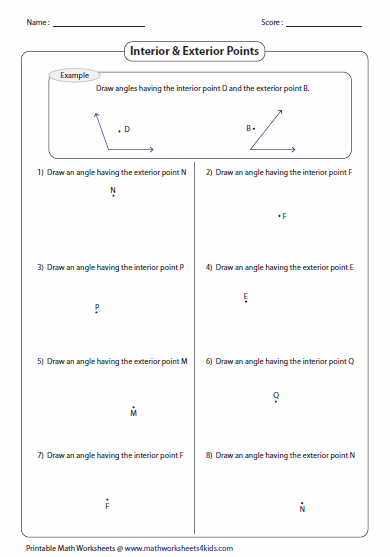 The first section contains identifying vertex and sides of an angle, identifying the position of points and setting up own examples. The second section contains naming angles in different ways. 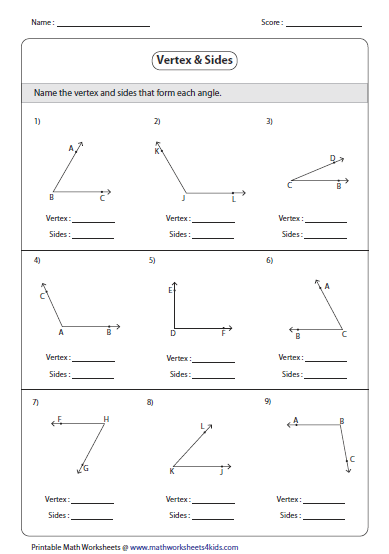 Each worksheet has 9 problems identifying vertex and sides of an angle. 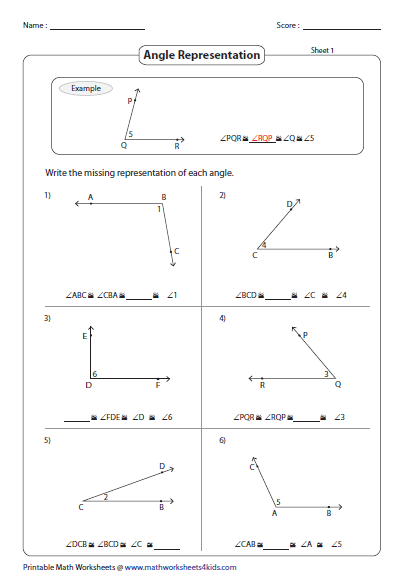 Draw any angle with the given vertex and sides. 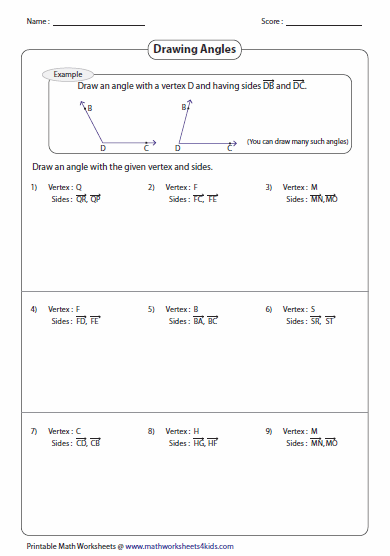 Students should use only the ruler to complete these worksheets. Answers may vary. A point can be either interior, exterior or on the angle. Tell the location of the points. A point is given in each problem. Follow the direction and draw the angle. Answers may vary. 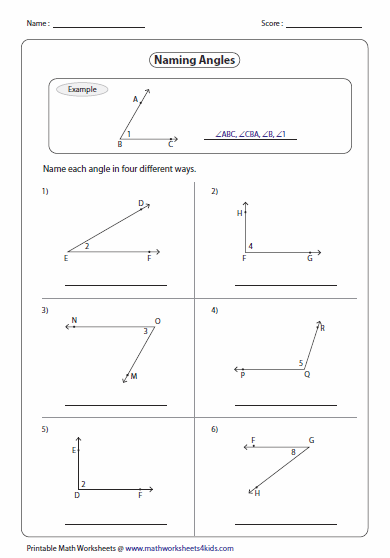 Each worksheet has six problems in naming angles. Represent each angle in four different ways. Three of the four possible angle representations are given. Find the missing one. There are two or more rays with a common vertex. 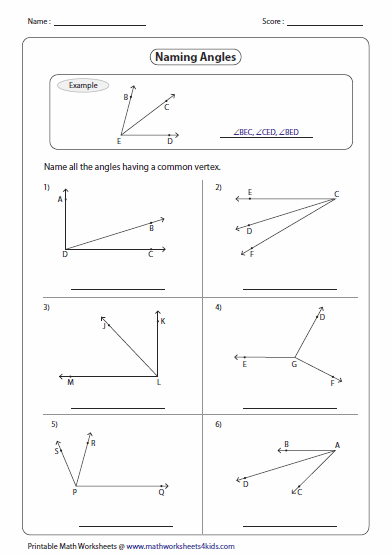 Name each angle sharing the same vertex.